A well-grown group of troll us in full flower is a really beautiful sight. This flower belongs to the buttercup family, and it is one of the finest border plants in existence. Some know it as the globeflower. stand up separately. You might say they appear to be small ­flowered tulips with permanent roots. They differ from the buttercup botanically in that there is no green calyx covering the borders; the colored “petals” are really the outer sepals. Trollius grows quite naturally in damp places but will grow in average garden soil, provided it is not too dry. Where summers are hot and dry, trollius may be grown bordering a rock pool or bog garden; they’ll even grow in partial shade. Plants are hardy and like best a rich deep soil that has plenty of humus to hold moisture. Apparently no soil is too wet for trollius, and a border of them can soon get too dry. Wetness never winterkills them but wilting in the drought of summer is fatal. Any transplanting should be done – in early spring. It is better to start with plants; they are slow to come from seeds. Set plants in your garden as early in the season as the ground may be readied if you wish to enjoy this waxy, fragile, buttercup like flowers the same season. More care and watering is necessary to get them established if you set them out late in: the season. Those who have successfully grown them fail to see why they are not seen more frequently in-gardens. 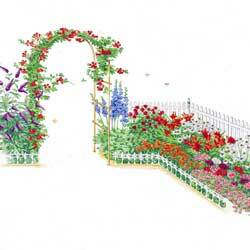 They can be planned for you to have bloom throughout the spring season as well as considerable bloom in the fall. Trollius ledebouri and its varieties are as lovely as any. This variety is from Siberia, and its clear sparkling yellow blossoms open wider than any of the others. 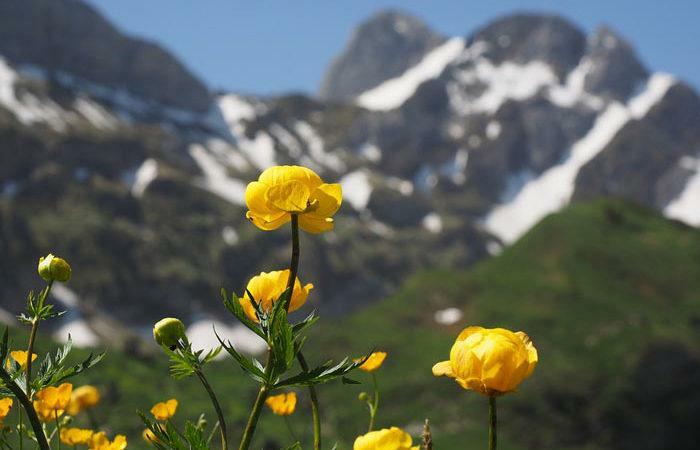 Trollius europaeus is stout and sturdy’ yellow and grows from 8 inches to 2 feet tall. Orange Queen, Canary Bird; Excelsior, and Eleanor are early varieties of this species; all are commendable, and all blossom earlier than Trollius ledebouri. T. caucasicus is from western Asia; bearing, in May, large bright yellow ball-shaped flowers on stems as long as 3 feet Trollius Golden Queen can be sown in flat areas in February. It takes over a month for them to germinate. Their brilliant orange flowers are semi doubled-and remind one of water lilies. 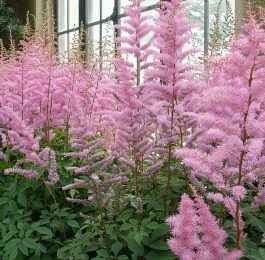 They’ll often bloom a second time in fall if seeds are not allowed to form.